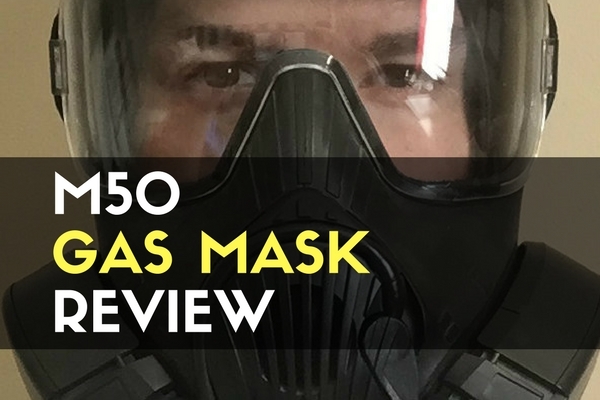 The M50 gas mask is a one of the best protective masks on the market for chemical, biological, and radiological personal defense. The lens was designed with almost every military task in mind, which give it a great field of vision. The chlorobutyl rubber silicone mask is one of the best protective skins used on gas masks to date. The head harness is very adjustable, using velcro straps which makes the fit versatile but sturdy. No more adjusting the mask each and every time you put it on. The dual filters are one of the best features of this mask. By putting filters on both sides of the mask, it made the mask easier to breath through. It also reduces the profile of the filters which is much better for tasks close to your face, such as sighting a rifle. Having a filter on each side of the mask balances the weight, and makes it much less likely to have the mask unseal from your face from being hit or jostled. The filters also contain a white tab that turns blue when the filter is contaminated or expired. The M50 is compatible with a wide range of accessories, from canteens to Camelbaks. A voice emitter can also be attached to the front of the mask to be able to project your voice more easily. You can clean the mask using warm soapy water, but only after removing the filters. Don’t use bleach or alcohol wipes since they can yellow the lens and break down the mask itself over time. 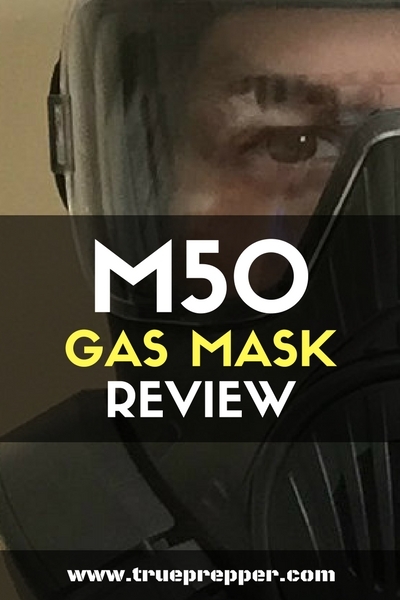 The M50, while a great mask, still has its vulnerabilities and issues. It is still not a self contained breathing apparatus (SCBA), so you need to be aware that it does not provide oxygen in oxygen depleted environments. Some HAZMAT chemicals, such as chlorine, can make the filter not last quite as long too. Knowing your limitations with the mask is important, since masks can provide a false sense of security if you are dealing with unknown chemicals or substances. I have owned a M50 protective mask for eight years now. I have worn it for up to 12 hours at a time. I wore it weekly for about a two year span, teaching classes while exposed to tear gas in a gas chamber. I have worn it while exposed to live Vx nerve agent and other deadly chemical weapons. I’m still here, able to type up this review, so that is pretty good proof that this mask is a workhorse of a protective mask. 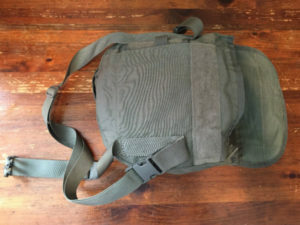 One of the best features I always liked was how easy it is to wear. The balanced filters are great. They also tweaked the lens on it to not distort anything, so everything appears as it would normally. This is important when using a firearms, and it made firing both the pistol and rifle much easier. 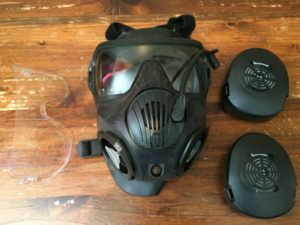 The M50 is the best mask I have worn, and I can compare it to the MCU-2P, M45, M40, M17, Russian GP-5, Israeli FM12, and the 3M 6700. The M50 is one of the best masks you can get. While some of the Avon and 3M full face respirators offer similar performance, the M50 is the only option that is rugged enough to withstand a survival situation with ease. The thick chlorobutyl rubber silicone will keep you protected but is still lightweight enough to be tolerable for long periods. If you are in the market for a protective mask, you should definitely consider picking up an M50. Former US Marine here. I am trained in many types of warfare, including NBC. I recently purchased 6 M-50s. My question is; Are the Primary Filters for NBC protection or just for training? Training only filters will be labeled as such and come in a different colored vacuum seal package. They are pretty rare since most training uses CS gas to build ‘mask confidence’, and actual NBC protection is best for that. I’ve actually never seen a training filter for the M50 except in catalogs, and I have taught the mask extensively. How long do the mask filters last on the M50 in a contaminated environment vs a training environment? 24 hours is the standard for most contaminated environments. There is not really a standard for a training environment. I worked in a tear gas chamber weekly for two years and only went through 2 sets.